ItemI-33549 - Wharf at Arrowhead. ItemI-33550 - Indian village at Fort McLeod; McLeod Lake. ItemI-33551 - Fort McLeod; McLeod Lake. ItemI-33552 - Customs house on the Flathead River. ItemI-33553 - Members of the Columbia and Western Railway survey. ItemI-33554 - Surveyors boarding the SS Moyie. ItemI-33555 - T.S. Gore survey party. ItemI-33556 - Cottonwood Falls, near Nelson. ItemI-33557 - Boundary survey crew in the Yahk Valley. Item I-33553 - Members of the Columbia and Western Railway survey. 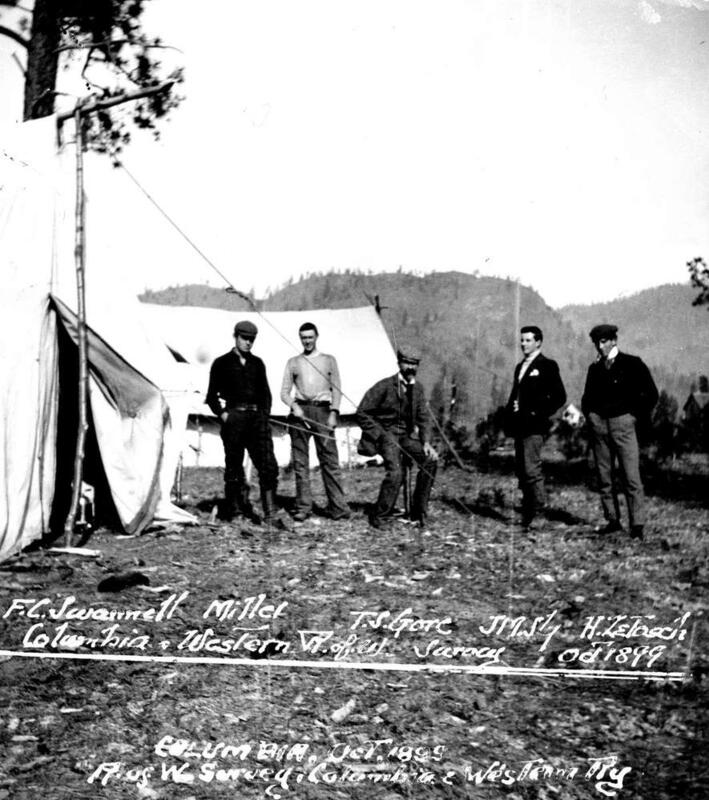 Members of the Columbia and Western Railway survey.